Paul Lant is a Professor in the School of Chemical Engineering at The University of Queensland. Paul has a long history of teaching and research at UQ, and he has held a variety of roles. He was the Head of the School from 2009-2013, during which time he led the establishment of the new School, including the introduction of many new teaching, research and engagement activities. He has a history of successful start-up ventures across his portfolio of research, teaching and commercialisation. 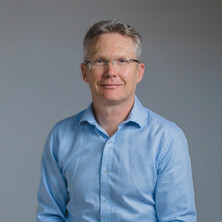 He has led many new teaching initiatives and been a key player in establishing UQ Chemical Engineering as a world leader in chemical engineering education innovation. He has started several commercial ventures and has been a Director of several companies. He was the founder and is still a Director of Wastewater Futures, a niche water company which provides specialist services to industrial clients. Paul is a Fellow of the IChemE and a Fellow of the Australian Institute of Company Directors. Energy and Poverty: In 2013, Paul co-founded the Energy and Poverty Research Group at UQ. This is a pan-UQ initiative incorporating the disciplines of engineering, business, social science, environmental science, policy, communications and psychology. The mission is to support positive social, environmental and health outcomes that are vital for sustainable and productive livelihoods in energy impoverished communities in the developed and developing world. Urban Water Systems: Paul has an international reputation for his research work in the field of urban water systems. Current work focuses on industrial wastewater treatment and water-carbon-energy linkages in cities. UQ R!SK: Paul co-founded UQ R!SK with Dr Maureen Hassall in 2015. UQ R!SK is an interdisciplinary initiative to deliver practical, evidence-based outcomes that help hazardous industries address current and future risk challenges. The vision for UQ R!SK is to be a world leader in developing practical and innovative, human-centred operational risk management approaches that deliver real improvements in performance and sustainable competitiveness for hazardous industries. The New Plastics Economy: Plastics and plastic waste are globally significant issues. Paul has been leading work at UQ for over 12 years investigating the production of biobased and biodegradable polymers. This work has been supported by several ARC research grants and also major industry support from Veolia in Sweden and Norske Skog in Australia. Food Waste Impacts: Food waste is a significant global issue, as up to 40% of food produced is wasted throughout the food supply chain. Paul commenced working on food waste in 2014. This is a strategically significant field for UQ, and will be grown over the next few years. Paul has a very successful track record of establishing productive collaborative partnerships with industry, and for winning competitive research funding. He has been a Chief Investigator on 17 prestigious ARC projects, and he has also attracted significant support from industry for research. Paul has been a chief investigator on projects that have attracted in excess of $13 million from Govt and industry. Paul led the bid to establish the Dow Centre for Sustainable Engineering Innovation. This was established with a $10M gift from Dow. Paul has been a co-author on over 130 journal publications, and he has supervised 45 PhD students to date. He has an h-index of 45 and 8100 citations (Google Scholar, Nov 2018). An established chemical engineering educator, Paul has received national awards for innovations in undergraduate teaching and supervision of postgraduate students. He was a member of teams winning national teaching awards for both undergraduate and postgraduate education in 2005 and 2006. Paul led the establishment of IWES in 2002. IWES is now the leading provider of environmental short course training for Australian industry. How does energy efficiency affect urban water systems? Kenway, Steven. J. and Lant, P. (2012). The influence of water on urban energy use. In Carol Howe and Cynthia Mitchell (Ed. ), Water sensitive cities (pp. 63-80) London, United Kingdom: IWA Publishing. Yuan, Z., Keller, J. and Lant, P. A. (2003). Optimization and control of nitrogen removal activated sludge processes: A review of recent developments. In Spiros N. Agathos and Walter Reineke (Ed. ), Biotechnology for the Environment: Wastewater Treatment and Modeling, Waste Gas Handling (pp. 187-227) Dordrecht, The Netherlands: Kluwer Academic Publishers. Is MSW derived DME a viable clean cooking fuel in Kolkata, India? Producing a CO2-neutral clean cooking fuel in India – where and at what cost? Can coal-derived DME reduce the dependence on solid cooking fuels in India? Hassall, Maureen and Lant, Paul (2017) Teaching risk: A new approach. The Chemical Engineer, March 2017: 34-37. Kenway, S., Pamminger, F. and Lant, P. (2013) The case for urban metabolism: what is it, and how can it help the water sector?. Water, 40 1: 6-7. De Haas, David W., Lane, Joe and Lant, Paul (2011) Life cycle assessment of the Gold Coast urban water system. Water, 38 8: 57-64. Hartley, K. J. and Lant, P. A. (2010) Sludge settleability in BNR processes. Water, 37 3: 72-83. Foley, Jeffrey, Lant, Paul A. and Donlon, P. (2008) Fugitive greenhouse gas emissions from wastewater systems. Water, 38 2: 18-23. How do we ensure good PhD student outcomes? Biggs, C, Lant, P and Hounslow, M (2003) Modelling the effect of shear history on activated sludge flocculation. Water Science And Technology, 47 11: 251-257. Wilen, B. M., Jin, B. and Lant, P. (2003) Relationship between flocculation of activated sludge and composition of extracellular polymeric substances. Water Science And Technology, 47 12: 95-103. Lant, P. and Emmett, D. (2002) Online learning for the Wastewater Industry. Water and Waste International, . Nopens, I, Biggs, CA, De Clercq, B, Govoreanu, R, Wilen, BM, Lant, P and Vanrolleghem, PA (2002) Modelling the activated sludge flocculation process combining laser light diffraction particle sizing and population balance modelling (PBM). Water Science and Technology, 45 6: 41-49. Biggs, C. A., Ford, A. M. and Lant, P. A. (2001) Activated sludge flocculation: Direct determination of the effect of calcium ions. Water Science And Technology, 43 11: 75-82. Yoong, E. T. and Lant, P. A. (2001) Biodegradation of high strength phenolic wastewater using SBR. Water Science And Technology, 43 3: 299-306. Hudson, N., Doyle, J., Lant, P., Roach, N., de Bruyn, B. and Staib, C. (2001) Sequencing batch reactor technology: the key to a BP refinery (Bulwer Island) upgraded environmental protection system - a low cost lagoon based retro-fit. Water Science And Technology, 43 3: 339-346. Lant, PA and Emmett, D (2001) Using the World Wide Web to revolutionise technology transfer and training in the water and wastewater industries. Water Science And Technology, 44 2-3: 127-134. Hopkins, LN, Lant, PA and Newell, RB (2001) Using the flexibility index to compare batch and continuous activated sludge processes. Water Science And Technology, 43 3: 35-43. Newell, Bob, Cameron, Ian, Lant, Paul, Von Meunch, Elisabeth and Olsson, Gustaf (1999) Modelling sustainable urban water systems. Water Supply, 17 3-4: 479-485.
von Munch, E., Keller, J., Lant, P. and Newell, R. (1999) Mathematical modelling of prefermenters - I. Model development and verification. Water Research, 33 12: 2757-2768. Hopkins L., Lant P. and Newell B. (1998) Output structural controllability: A tool for integrated process design and control. Journal of Process Control, 8 1: 57-68. Lant P. and Newell B. (1996) Problem-centered teaching of process control and dynamics. Chemical Engineering Education, 30 3: 228-232. DIMASSIMO, C, LANT, PA, SAUNDERS, A, MONTAGUE, GA, THAM, MT and MORRIS, AJ (1992) BIOPROCESS APPLICATIONS OF MODEL-BASED ESTIMATION TECHNIQUES. Journal of Chemical Technology and Biotechnology, 53 3: 265-277. Lilburne, Christopher M., Lant, Paul A. and Hassall, Maureen E. (2018). Flipping the assessment model: Teaching and assessing 'things that matter'. In: Mary Kay O'Connor Process Safety Center International Symposium, College Station, Texas, (). 23-25 October, 2018. Cameron, Ian T., Lant, Paul and Hassall, Maureen E. (2018). Systems-focussed risk and process safety education. In: Mary Kay O'Connor Process Safety Center International Symposium, College Station, Texas, (). 23-25 October, 2018. Will greenhouse gas mitigation goals become a major driver for water conservation? Kenway, S., Lant, P., Scheidegger, R., Larsen, T. and Bader, H. (2013). Will greenhouse gas mitigation goals become a major driver for water conservation?. In: Proceedings of the 2013 AWA 5th National Water Education, Efficiency and SkillsConference. EECD 2013: 5th National Water Education, Water Efficiency & Water Skills Conference, Brighton Beach, NSW, Australia, (). 5-7 March, 2013. Kenway, S., Lant, P., Bader, H., Scheidegger, R. and Larsen, T. (2012). Connections between water, energy and greenhouse gas emissions in cities: key emerging messages. In: World Water Congress and Exhibition, Busan, Korea, (). 16-21 September 2012. Law, Yingyu, Ye, Liu, Ni, Bing-Jie, Byers, Craig, DeJong, Katie, Lant, Paul and Yuan, Zhiguo (2012). Full scale monitoring of fugitive nitrous oxide and methane emissions from a wastewater treatment plant in Australia. In: OzWater '12: Conference Proceedings. OzWater '12: Australia's National Water Conference and Exhibition, Sydney, Australia, (). 8 - 10 May 2012. Law, Y., Ni, B. J., Ye, L., Byers, C., De Jong, K., Lant, P. and Yuan, Z. (2012). Monitoring and modelling nitrous oxide emissions from a full-scale wastewater treatment plant. In: 9th IWA Leading - Edge Conference on Water and Wastewater Technologies, Brisbane, QLD, Australia, (). 3-7 June 2012. Lane, Joe, Grant, Tim and Lant, Paul A. (2011). A new Australian normalisation data set. In: 7th Australian Conference on Life Cycle Assessment, Conference Proceedings, Melbourne: Life Cycle Assessment: Revealing the secrets of a green market. 7th Australian Conference on Life Cycle Assessment, Melbourne, Australia, (). 9-10 March 2011. Law, YingYu, Jacobsen, Geraldine, Smith, Andrew, Yuan, Zhiguo and Lant, Paul (2011). Isotopic fractionation and assimilation of fossil carbon in wastewater treatment plant. In: UQ Engineering Postgraduate Research Conference (2011), Brisbane, Australia, (). 6 June 2011. Lane, Joe, De Haas, David W. and Lant, Paul A. (2011). LCIA - Relevance and challenges for the urban water sector. In: 7th Australian Conference on Life Cycle Assessment, Conference Proceedings, Melbourne: Life Cycle Assessment: Revealing the secrets of a green market. 7th Australian Conference on Life Cycle Assessment, Melbourne , Australia, (). 9-10 March 2011. Law, Yingyu, Lant, Paul and Yuan, Zhiguo (2011). The effect of pH on N2O Production from an ammonium-oxidising enriched culture in a partial nitritation system. In: International Symposium on Microbial Resources of Management in Biotechnology: Concepts & Applications (1st, MRM, 2011), Ghent, Belgium, (). 30 June-1 July 2011. Lane, Joe, De Haas, David and Lant, Paul (2010). Life cycle impacts of the Gold Coast urban water cycle. In: Ozwater'10: Australia's national water conference and exhibition. Ozwater'10, Brisbane, Qld, Australia, (). 8-10 March 2010. Cirne, Dores G., Bond, Philip, Pratt, Steven, Lant, Paul and Batstone, Damien J. (2010). Microbial community analysis during continuous fermentation of thermally hydrolysed waste activated sludge. In: Adalberto Noyola, Proceedings of the 12th World Congress on Anaerobic Digestion. AD12: 12th World Congress on Anaerobic Digestion. Water and Energy for the World, Guadalajara, Mexico, (). 31 October - 4 November 2010. Arcos-Hernandez, M. V., Lant, P. and Pratt, S. (2010). Novel direct accumulation of polyhydroxyalkanoates in waste activated sludge. In: International Symposium on Biopolymers Proceedings. ISBP 2010 International Symposium on Biopolymers, Stuttgart, Germany, (). October 3-7 2010. Kenway, Steven, Priestley and Lant, Paul A. (2010). Quantifying the link between water and energy in cities. In: Water and Energy 2010, Amsterdam Netherlands, (). 2010. Kenway, Steven, Lant, Paul A. and Priestley (2010). Quantifying water-related energy use in cities. In: Urban Water Security Research Alliance Science Forum and Stakeholder Engagement: Building Linkages, Collaboration and Science Quality, Brisbane, QLD, Australia, (). 2010. Bradford-Hartke, Z., Leslie, G. and Lant, P. (2010). Using membranes to recover phosphate in high nutrient density forms. In: 2010 AIChE Annual Meeting, Conference Proceedings. 2010 AIChE Annual Meeting, 10AIChE, Salt Lake City, UT, (284-291). 7 12 November 2010. Kenway, Steven, Lant, Paul A., Bader, Scheidegger and Larsen (2010). Water-related energy and emissions - key emerging messages. In: Urban Water Security Research Alliance 2011 Science Forum. Urban Water Security Research Alliance Science Forum and Stakeholder Engagement: Building Linkages, Collaboration and Science Quality, Brisbane, QLD, Australia, (). 2010. Kenway, Steven, Priestley and Lant, Paul (2009). Energy Use in urban water in Australia - opportunity to move beyond carbon neutrality. In: Water and Energy 2009, Copenhagen, Denmark, (). 29-31 October 2009. De Haas, David W., Foley, Jeffrey and Lant, Paul A. (2009). Energy and greenhouse footprints of wastewater treatment plants in South-east Queensland. In: S. J. Kenway and D. K. Begbie, Science Forum and Stakeholder Engagement: Building Linkages, Collaboration and Science Quality: Program and Abstracts. OzWater 09, Brisbane, Australia, (71-71). 17-18 August 2009. Influence of urban water choices on energy use – who’s responsibility is it? Kenway, Steven, Lant, Paul and Priestley (2009). Influence of urban water choices on energy use – who’s responsibility is it?. In: Water and Energy 2009, Copenhagen, Denmark, (). 29-31 October 2009. Zeng, R., Hu, S, Keller, J., Lant, P. and Yuan, Z (2009). Potential interactions between anammox and anaerobic methane utilizing denitrification (AnMUD) processes in nitrogen and carbon cycles. In: 6th IWA Leading-Edge Conference on Water and Wastewater Technologies, Singapore, (). 23-25 June, 2009. Pratt, Steven, Keymer, Philip, Lant, Paul and Keller, Jurg (2009). The Potential for generating algae derived biofuels using coal seam gas water as the growth media. In: The Potential for generating algae derived biofuels using coal seam gas water as the growth media. Water & Industry 2009 Conference, Palmerston North, New Zealand, (). 30 November - 2 December. Foley, J., Lant, P. A., Yuan, Z., Keller, J. and Donlon, P. (2008). Fugitive greenhouse gas emissions from wastewater systems. In: 6th IWA World Water Congress, Vienna, Austria, (). 7-12 September, 2008. Jeffrey Foley and Lant, Paul A. (2008). Fugitive greenhouse gas emissions from wastewater treatment plants: putting a measure on them. In: Accounting for Carbon in the Water Industry. Accounting for Carbon in the Water Industry, Sydney, (1-12). 27-28 February, 2008. Can the development of mixed culture PHAs be justified? Gurieff, N. and Lant, P. A. (2007). Can the development of mixed culture PHAs be justified?. In: 4th IWA Leading-edge Conference and Exhibition on Water and Wastewater Technologies: Conference and Exhibition Book. 4th IWA Leading-edge Conference and Exhibition on Water and Wastewater Technologies, Singapore, Republic of Singapore, (6-6). 3-6 June 2007. Huang, L., Jin, B. and Lant, P. A. (2005). Direct fermentation of potato starch wastewater to lactic acid by Rhizopus oryzae and Rhizopus arrhizus. In: 7th World Congress of Chemical Engineering, GLASGOW2005, incorporating the 5th European Congress of Chemical Engineering - Congress Manuscripts. 7th World Congress of Chemical Engineering, GLASGOW2005, incorporating the 5th European Congress of Chemical Engineering, , , (). July 10, 2005-July 14, 2005. Yoong, E T, Staib, C I and Lant, P. A. (2004). Kinetic coefficients of high strength phenolic wastewater biodegradation. In: Z Ujang and M Henze, Water & Environmental Management Series. IWA International Conference on Environmental Biotechnology, Kuala Lumpur, Malaysia, (35-42). 9-10 December 2003. Huang, L., Jin, B., Lant, P. A. and Zhou, J.-T. (2003). An integrated bioprocess of lactic acid production and potato wastewater treatment by Rhizopus arrhizus. In: IWA Conference on Environmental Biotechnology Advacement on Water and Wastewater Applications in the Tropics. IWA Conference on Environmental Biotechnology, Malaysia, (1-1). 9-10 December 2003. Jansons, K., Howes, T. and Lant, P. A. (2003). Modelling imperfect mixing in non-aerated reactors of the activiated sludge process. In: M J Mowlaei and A Rose and J Lamborn, 7th Annual Environmental Research Conference - EERE2003 Environmental Sustainability Through Multidisciplinary Integration. 7th Annual Environmental Research Conference EERE 2003, Victoria, Australia, (193-198). 1-4 December 2003. Ingildsen, P., Lant, P. and Olsson, G. (2002). Benchmarking plant operation and instrumentation, control and automation in the wastewater industry. In: , , (163-171). .
Ingildsen, P, Lant, P and Olsson, G (2002). Benchmarking plant operation and instrumentation, control and automation in the wastewater industry. In: Wilderer, P, Amy, G, Arvin, E, Blackwell, L, Hamoda, MF, Mikkelsen, PS, Mino, T, Morgenroth, E, Otterpohl, R, Pons, MN, Rauch, W, Stephenson, T, Ujang, Z and Jianrong, Z, 2nd World Water Congress of the International-Water-Association, Berlin Germany, (163-171). Oct 15-19, 2001. De Clercq, B., Brannock, M. W. D., Lant, P. A. and Vanrolleghem, P. (2002). In Situ Particle Size Characterisation on a Circular Clarifier of a Wastewater Treatment Plant. In: World Congress on Particle Technology. World Congress on Particle Technology, Sydney, (). 21-25 July. Biggs, C., Lant, P. A. and Hounslow, M. (2002). Modelling the effect of shear history on activated sludge flocculation. In: ENVIRO 2002. ENVIRO 2002, Melbourne, (). 7-12 April 2002. De Clercq, B., Lant, P. A. and Vanrolleghem, P. (2002). Online Particle Size Analysis in Secondary Clarifiers. In: Flerschman, N. Langergraben, G. Harberl, R. and ., International IWA Conference on Automation in Water Quality Monitoring. International IWA Conference on Water Quality, Vienna, Austria, (). 21-22 May 2002. Wilen, B-M., Jin, B. and Lant, P. A. (2002). Relationship between Flocculation of Activated Sludge and Composition of Extracellular Polymeric Substances. In: IWA World Congress. IWA World Congress, Melbourne, (CD). 7-12 April. Biggs, C. and Lant, P. A. (2002). Using Population Balance Equations to Model the Effect of Shear History on Activated Sludge Flocculation. In: Australian Water Association, IWA World Congress. IWA World Congress, Melbourne, (). 7-12 April. Yoong, E. T. and Lant, P. A. (2001). Biodegradation of high strength phenolic wastewater using SBR. In: , , (299-306). .
Hudson, N., Doyle, J., Lant, P., Roach, N., De Bruyn, B. and Staib, C. (2001). Sequencing batch reactor technology: The key to a BP refinery (Bulwer Island) upgraded environmental protection system - A low cost lagoon based retro-fit. In: , , (339-346). .
Hopkins, L. N., Lant, P. A. and Newell, R. B. (2001). Using the flexibility index to compare batch and continuous activated sludge processes. In: , , (35-43). .
Hopkins, L. N., Lant, P. A. and Newell, R. B. (2001) Operating space diagrams: a tool for designers of wastewater treatment plants. Water Science And Technology, 44 2-3: 69-76. Wos, M.L., Lant, P. A. and Pollard, P.C. (2001). Understanding Heterotrophic Bacterial Metabolism and Growth Dynamics in Biological Wastewater Treatment. In: Environmental Engineering Research Event 2001. Environmental Engineering Research Event 2001, Noosa, (). November 2001. Yoong, E.T. and Lant, P. A. (2000). Biodegradation of High Strength Phenolic Wastewater Using SBR. In: Proceedings of 2nd International Symposium on Sequencing Batch Reactor Technology. 2nd International Symposium on Sequencing Batch Reactor Technology, Narbonne, France, (285-288). 10-12 July, 2000. Biggs, C., Ford, M. and Lant, P. A. (2000). Determining the Effect of Calcium on Activated Sludge Flocculation Kinetics. In: Proceedings of the 1st World Water Congress of the International Water Association. 1st World Water Congress of the International Water Associati, Paris, France, (CD ROM). 4 - 7 July, 2000. Hopkins, L., Lant, P. A. and Newell, R. B. (2000). Operating Space Diagrams: A Tool for Designers of Wastewater Treatment Plants. In: Proceedings of the 1st World Water Congress of the International Water Association. 1st World Water Congress of the International Water Association, Paris, France, (CD ROM). 4 - 7 July, 2000. Hudson, N., Doyle, J., Lant, P. A., Roach, N., de Bruyn, B. and Staib, C. (2000). Sequencing Batch Reactor Technology: the key to a BP Refinery (Bulwer Island) upgraded environmental protection system low cost lagoon based retro-fit. In: Proceedings of the 2nd International Symposium on Sequencing Batch Reactor Process Technology. 2nd International Symposium on Sequencing Batch Reactor Process Technology, Narbonne, France, (353-361). 10-12 July, 2000. Hopkins, L., Lant, P. A. and Newell, R. B. (2000). Using the Flexibility Index to Design Operable Wastewater Treatment Process. In: Proceedings of the 2nd International Symposium on Sequencing Batch Reactor Technology. IWA 2nd International Symposium on Sequencing Batch Reactor Technology, Narbonne, France, (57-66). 10 - 12 July, 2000. Lant, P. A. and Emmet, D. (2000). Using the World Wide Web to Revolutionise Technology Transfer and Training in the Wastewater Industry. In: Proceedings of the 1st World Water Congress of the International Water Association. 1st World Water Congress of the International Water Association, Paris, France, (CD ROM). 4 - 7 July, 2000. Biggs, C. A., Teng, T. G. and Lant, P. A. (1999). Measuring the stability of activated sludge flocs. In: The Third Annual Australian Environmental Engineering Research Event. Environmental Engineering Research Event, Castlemaine, Vic., (). 23-26 November. Yuan, Z. and Lant, P. A. (1999). Optimization and control of nitrogen removal activated sludge processes: A review of recent developments. In: 9th European Congress on Biotechnology. 9th European Congress on Biotechnology, Brussels, Belgium, (). 11-15 July 1999. Pochana, K., Keller, J. and Lant, P. A. (1999). Suspended carrier technology to upgrade activated sludge wastewater treatment plants for nitrogen removal. In: AWWA 18th Federal Convention. AWWA 18th Federal Convention, Adelaide, (). 11-14 April 1999. Pochana, K., Keller, J. and Lant, P. A. (1999). The effect of dissolved oxygen concentration on simultaneous nitrification and denitrification. In: AWWA, Water Solutions. AWWA 18th Federal Convention, Adelaide, (). 11-14 April 1999. TATRAI, FZ, LANT, PA, LEE, PL, CAMERON, IT and NEWELL, RB (1994). MODEL-REDUCTION FOR REGULATORY CONTROL - AN FCCU CASE-STUDY. In: 4th European Symposium on Computer Aided Process Engineering (ESCAPE 4), Dublin Ireland, (47-53). Mar 28-30, 1994. Tatrai, F. Z., Lant, P. A., Lee, P. L., Cameron, I. T. and Newell, R. B. (1994). Model reduction for regulatory control: an FCCU case study. In: Escape 4: 4th European symposium on computer aided process engineering. 4th European symposium on computer aided process engineering, Dublin, Ireland, (47-53). 28-30 March 1994. Lant, P. A., Willis, M. J., Montague, G. A., Tham, M. T. and Morris, A. J. (1990). A comparison of adaptive estimation with neural based techniques for bioprocess application. In: Proceedings of the 1990 American Control Conference, , , (2173-2178). May 23, 1990-May 25, 1990. Pascale, Andrew, Chakravarty, Shoibal, Lant, Paul, Smart, Simon and Greig, Chris (2017). Surprises up the energy ladder. Energy and Poverty Research Group Working Paper Series 1, UQ Energy Initiative, The University of Queensland. Interdisciplinary research education and staff development: an interdisciplinary study. Australia's Future Research Leaders: Are they coming from CRCs? Novel process control for wastewater treatment. Attracting commercial and industrial participation in demand response programs in a deregulated energy market. Decision support for cost-effective energy production and recovery in water and wastewater systems.